A certificate can represent various things in our lives, it could be an award certificate, a medical certificate, or even an academic certificate. These are official documents that verify a certain fact. To own a certificate would seem like an achievement. You probably earned it for doing something that deserves the formal recognition. Truth be told, it’s not everyday that you get to receive something rewarding. 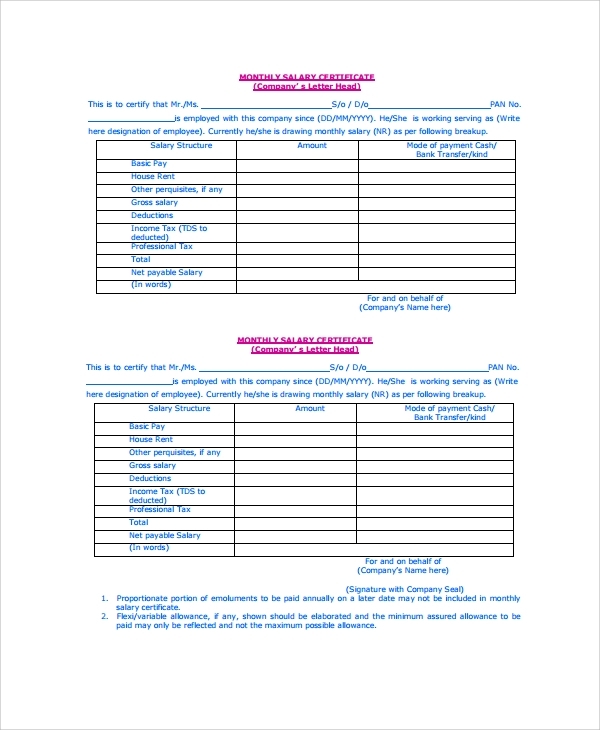 With a wide range of certificates of various types, some of these certificates may be encountered as you work on your careers. One good example is to own a certificate in line with your salary. 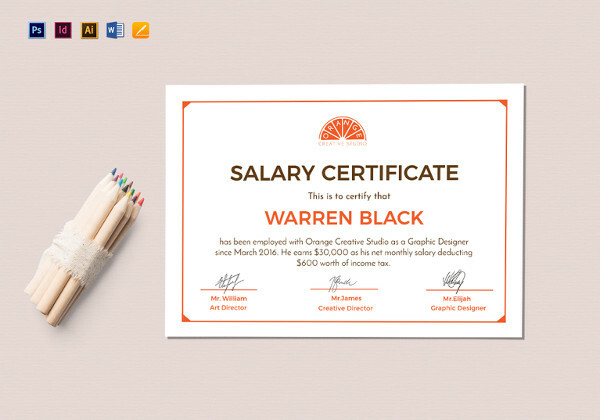 What Is a Salary Certificate? 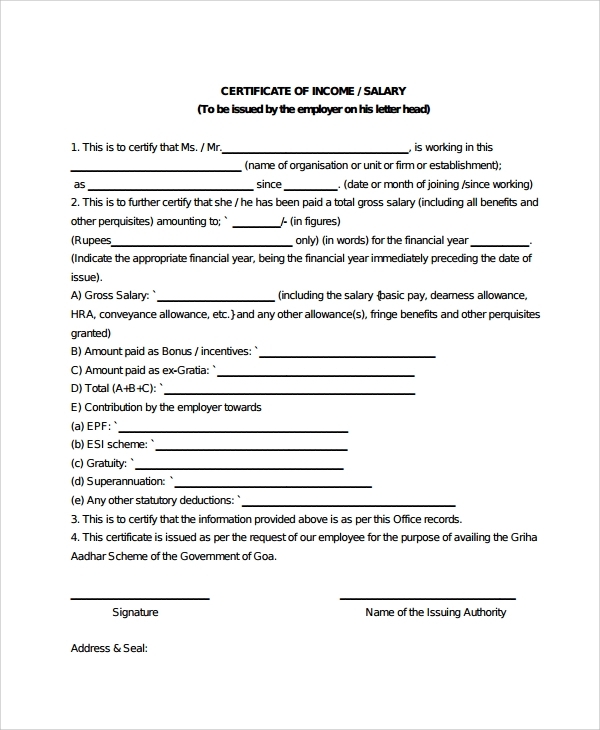 A salary certificate is a formal document issued by an organization to its employees at their request. 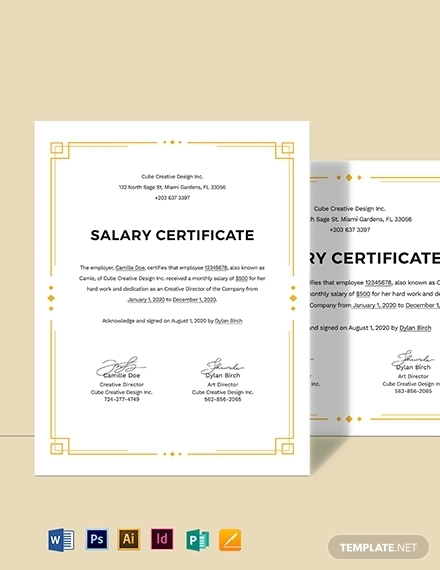 A standard salary certificate indicates an employee’s total salary. This document is often kept as evidence for future disputes. It could be requested for various reasons, such as for a loan application and the like. Like every other certificate, it follows a particular format. Other free certificate examples are also available to serve as a guide in creating good certificate template. Although now we may know the gist of a salary certificate, it’s content may still vary in relation to its purpose. Financial institutions like to offer various types of loans to their customers. Whatever loan you plan to apply for, they would provide a list of requirements that need to be submitted. One of which would be a salary certificate. 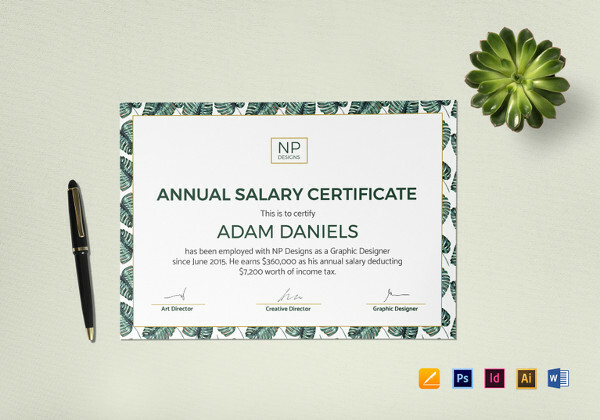 A salary certificate isn’t like a gift certificate that is handed out in an instant. It’s requested from a company’s head office or Human Resources Department. To do so, one must make a request letter that contains the individual’s personal and employment details and the purpose for a request. It may then be submitted for assessment. What Is a Salary Transfer Certificate? 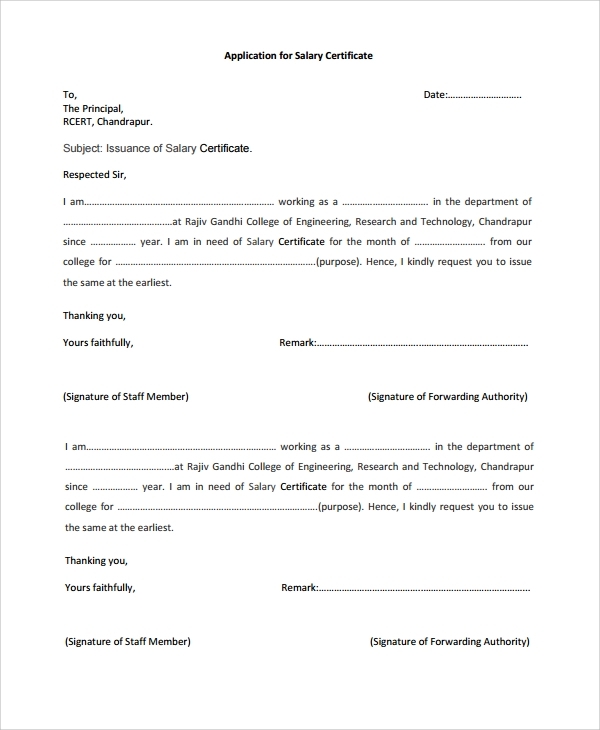 A salary transfer certificate is a type of letter issued to a financial institution by an employer. 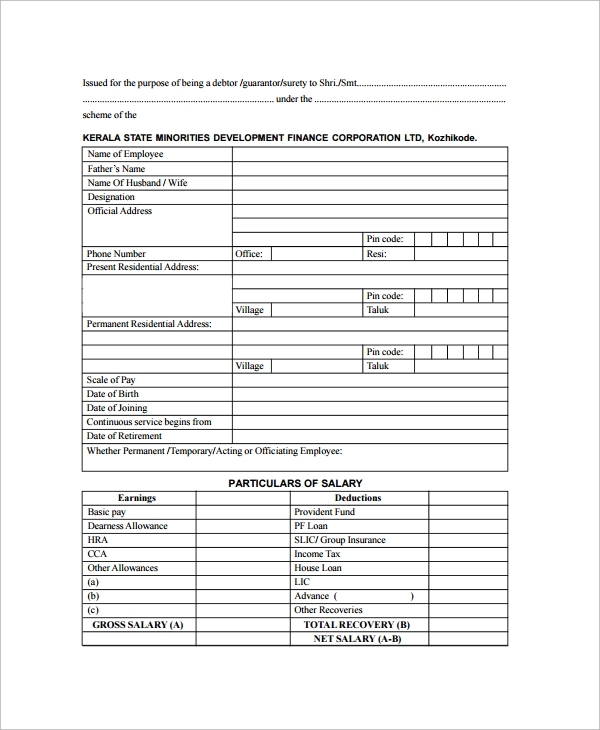 The content of the certificate shall indicate that the salary of the employee involved will be transferred to the employee’s account until the loan is fully paid. It may also include other agreements made by the bank and your employer. 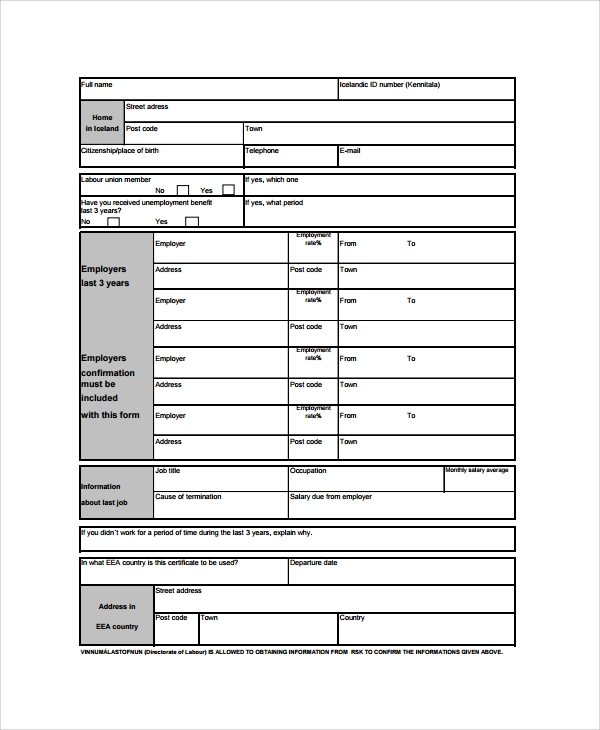 Like most certificates, such as a certificate of appreciation, this type of certificate may follow a standard format but can vary from bank to bank. 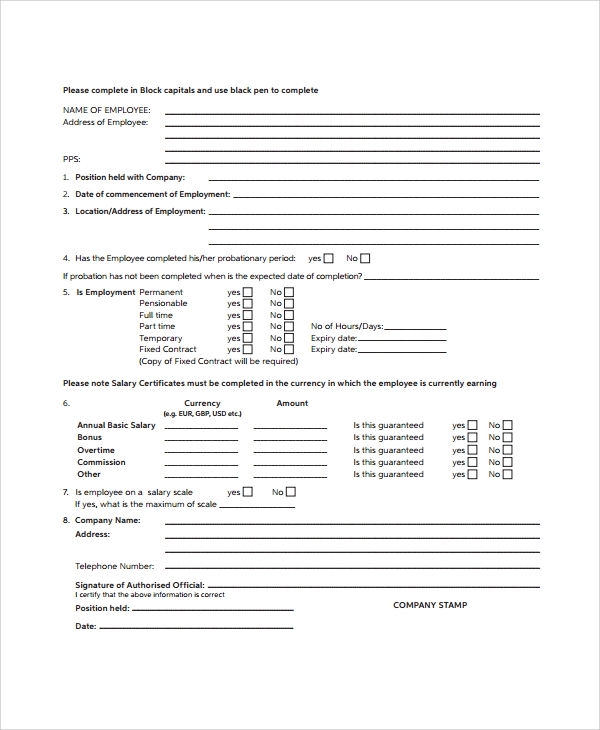 What Is the Format of a Salary Certificate? 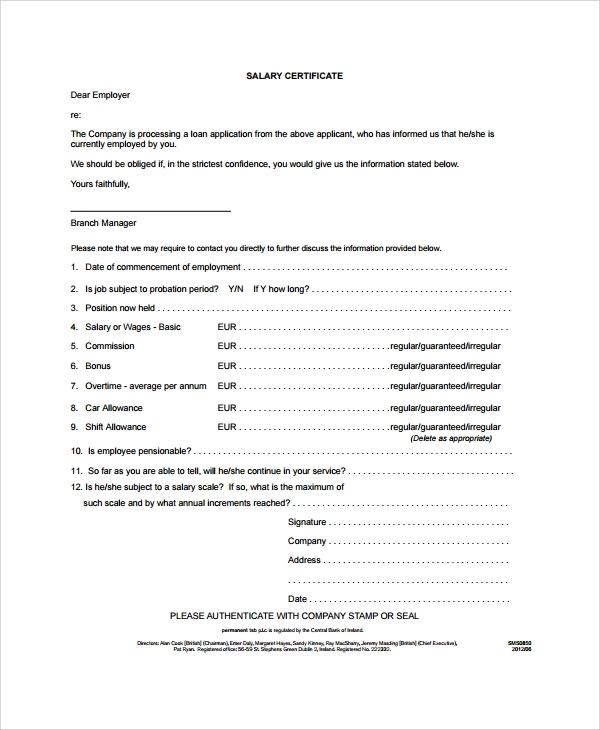 It’s common for employees of a company to request for a salary certificate. 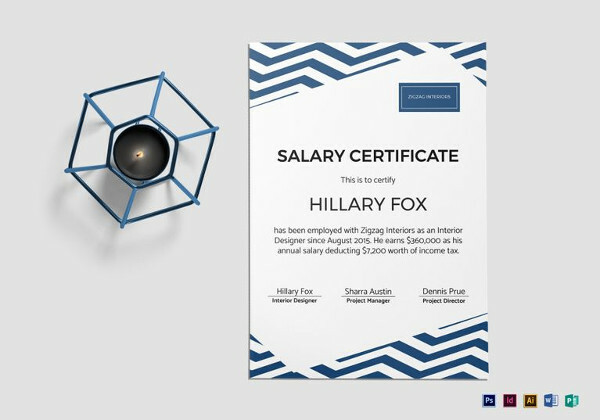 If you often receive requests for a salary certificate, it might be a good idea to keep copies of certificate examples in PDF to make your work easier. 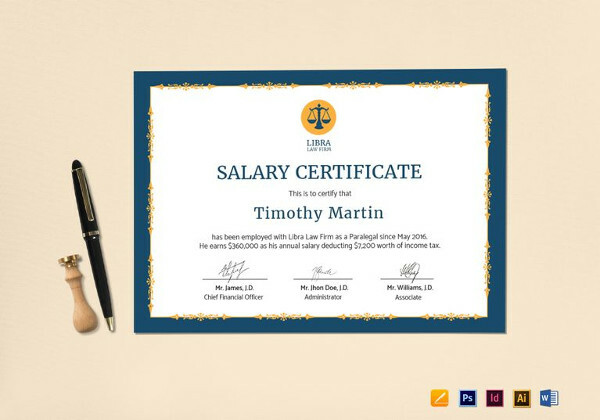 A salary certificate may appear similar to a standard formal letter than the usual certificates we’re used to seeing. 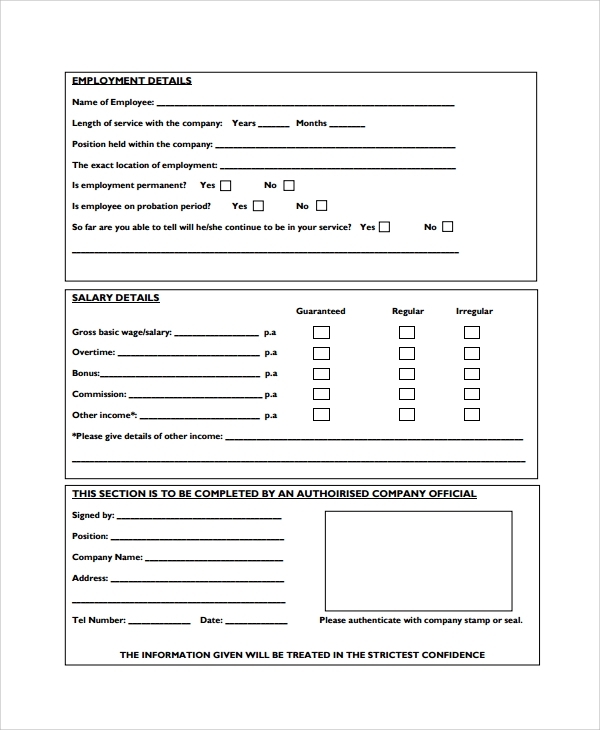 It contains the name of the company and the individual issuing the certificate, the employee’s name and position as well as the salary, allowances and benefits that the employee is entitled to. Basic company information is also included. A signature should also be present for credibility. Are Certifications Needed for an HR Career?